Catriona Bonfiglioli is an experienced journalist with a special interest in medical journalism. She is a Senior Lecturer in Media Studies at UTS and a chief investigator of an ARC Discovery Project (DP1096251) investigating the role of the media in obesity and physical activity. 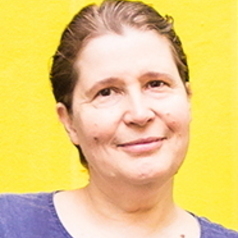 Catriona's PhD (University of Sydney, 2005) investigated Australian news media coverage of genetics. Catriona's work is published in professional publications and peer-reviewed journal articles.